Working with plants can leave you susceptible to scratches and cuts on your palms, particularly if you handle spiny or thorny plants like blackthorn or roses. 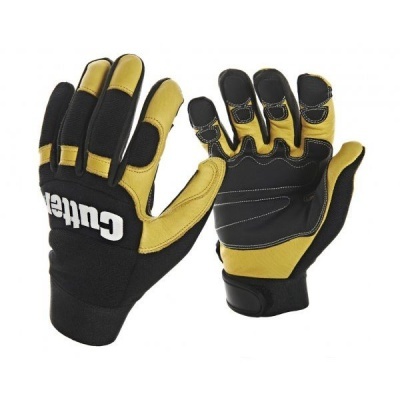 The Cutter Leather Ultimate Utility Reinforced CW800 Gloves are constructed with reinforced PVC patches to protect your hands against plant spikes and thorns. The patches also improve your grip so you're less likely to drop objects you're handling. The Leather Ultimate Utility Gloves are available in four sizes to fit most hands. Please measure the circumference of your hand around the knuckles (excluding your thumb) with your palm open and your fingers together. Next, measure the length of your hand from the tip of your middle finger to your wrist.